For teachers, there is an enormous responsibility to teach students about the history of our country. No matter what political agenda or school of thought one belongs to, the fact that men and women have died to uphold our freedoms and protect our country cannot be disputed. The United States observes Memorial Day in remembrance of all the brave men and women who died in the service of their country. The exact where and when of the first Memorial Day has been hotly debated by dozens of towns since the early 1860s. Although the first state to recognize Memorial Day was New York in 1873, many other states had been holding ceremonies and days of remembrance long before. The great losses and sacrifices of the Civil War served as a catalyst for creating a day to honor the country’s fallen soldiers. Today, the holiday holds little significance for young generations, as Memorial Day parades and remembrance ceremonies have slowly faded away in towns and cities across the country. Things like the meaning of the poppy flower and why Veterans hand them out around Memorial Day, and the proper flag etiquette have also been largely forgotten. 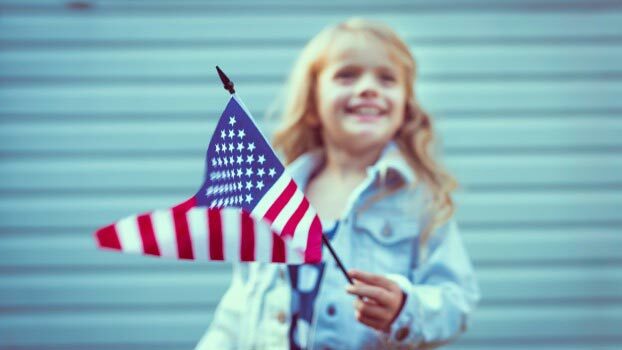 This year, take the time to add Memorial Day lessons into your plans so that future generations know the true meaning of the holiday. Color a print out of the American Flag and discuss the significance of the stars and stripes. Touch on proper flag etiquette and, if possible, invite veterans in to explain how to fold the flag. Let students practice folding it for a hands-on approach to the lesson. Encourage students to create a bar graph showing the number of flags that they see over the Memorial Day weekend that are properly being displayed. It will create a feeling of respect for the flag and what it symbolizes that will also transfer to their parents and siblings. For intermediate students, have them choose a war in the United States’ history that they would like to learn more about. From the Revolutionary War to the Gulf War, any battle that the United States was involved in is acceptable for research. Once they have chosen a war, have them research it and prepare a presentation for the class. Some presentation ideas include: preparing a dialogue from the point of view of a teenage soldier in the war, drawing a map and explaining important battles and why the war was fought, and creating letters that a soldier might write home and passing them out for the class to take turns reading them aloud. By involving students in the “why” of why Memorial Day is celebrated, they will become more invested in the remembrance. Whether you support the idea of war or not, the fact that young Americans are valiantly fighting under the United States’ flag cannot be denied. Have students create a care package drive within the class, grade level or school. Organizations like, Adopt-a-Platoon, provide information on items that soldiers need and how to get the packages to them. For the safety of our troops, many organizations will be willing to work with you to get the items where they are needed most. Some teachers have adopted a platoon of soldiers and provide them with care packages throughout the year. Putting faces and names to those who are fighting for our country helps students realize who Memorial Day really honors. How do you teach your students about Memorial Day? Does your school have a special presentation or remembrance ceremony? Share with us!